Bandai Namco has released the first trailer for recently announced Super Dragon Ball Heroes: World Mission for Nintendo Switch. 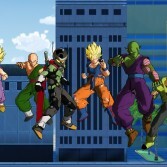 The video shows some battle animations, as well as characters and transformations that will be available in the game. 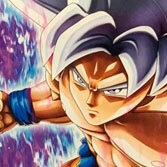 Super Dragon Ball Heroes: World Mission has up to seven-versus-seven card-based battles. 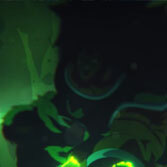 The player creates his own team from the collected cards. The game features 1160 cards accross 10 set. 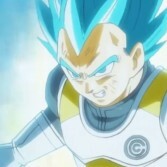 We will meet here the same Hero, which we have seen in previous games from the Super Dragon Ball Heroes series. In addition, we'll meet 350 characters from all Dragon Ball series, which is the largest number of all games released so far. The dual screen gameplay from arcade version and Nintendo 3DS is replicated on the single screen. The game will be released in 2019. Super Dragon Ball Heroes: World Mission will be released for Nintendo Switch in 2019. Find more information, screenshots, and videos from the game in our Dragon Ball Video Games Encyclopedia.